Oval Diamond Set cufflinks. 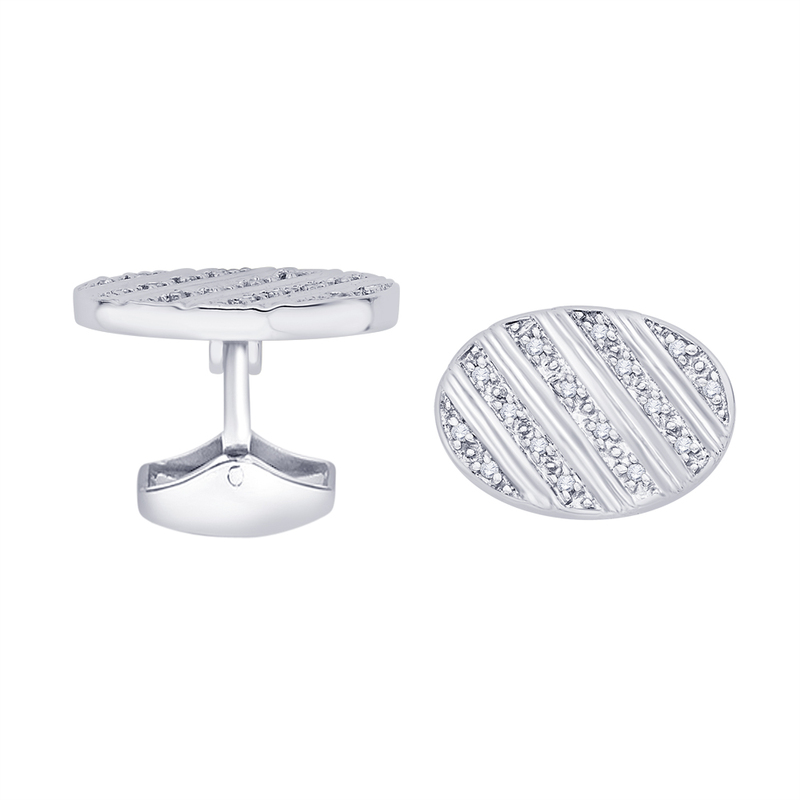 These cufflinks are set with round brilliant cut diamonds in a Paved setting to really enhance the look of these beautiful cufflinks. 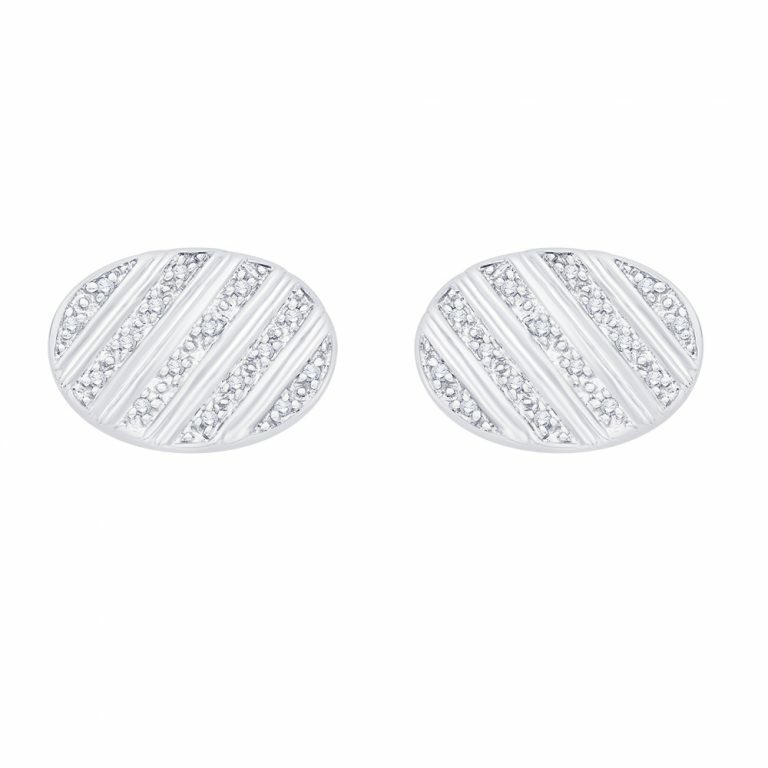 Set with 0.25ct of round brilliant cut diamonds of SI Clarity and G-H colour these cufflinks really sparkle. Made to order theses cufflinks take approximately 5 weeks.